June 26, 2018 – CHICAGO – ForeverCar, the first digital platform for extended car repair coverage, announced today that it is a winner of the 2018 Red Herring Top 100 North America Award – a prestigious honor recognizing the continent’s most exciting and innovative private technology companies. The winners, celebrated at a special awards ceremony at the Marina Del Rey Hotel, have been chosen from thousands of entrants, whittled down to hundreds making the trip to California. ForeverCar's unique platform powers vehicle repair plan transactions on behalf of key partners in the automotive dealership, insurance and financial services categories. ForeverCar makes it simple for consumers to quote, shop, purchase and use vehicle repair plans, while offering full transparency along the way. “2018’s crop of Top 100 winners has been among our most intriguing yet,” said Alex Vieux, Chairman & CEO of Red Herring. “North America has led the way in tech for so many years, and to see such unique, pioneering entrepreneurs and companies here in California, which is in many ways the heartland of the industry, has been a thrilling experience. Following ForeverCar’s Top 100 win it is invited to showcase itself at the Top 100 Global event in October. 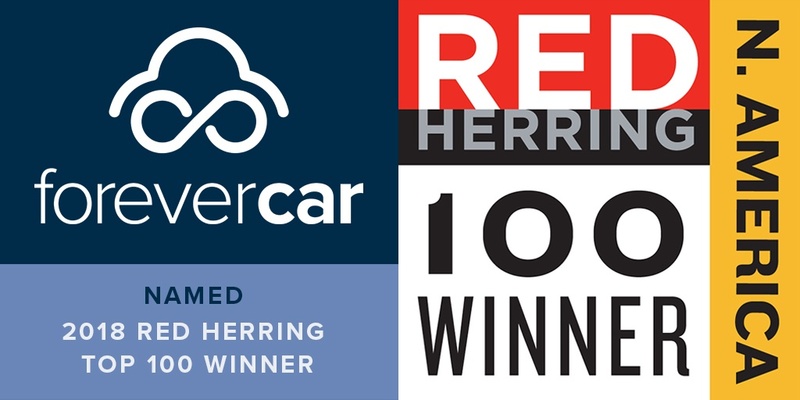 Red Herring is dedicated to support ForeverCar’s continued path to success and innovation. For more information about ForeverCar's award-winning platform or vehicle service plans, visit our partner site or email us at MEDIA@forevercar.com. Experience the power of 1Quote today!